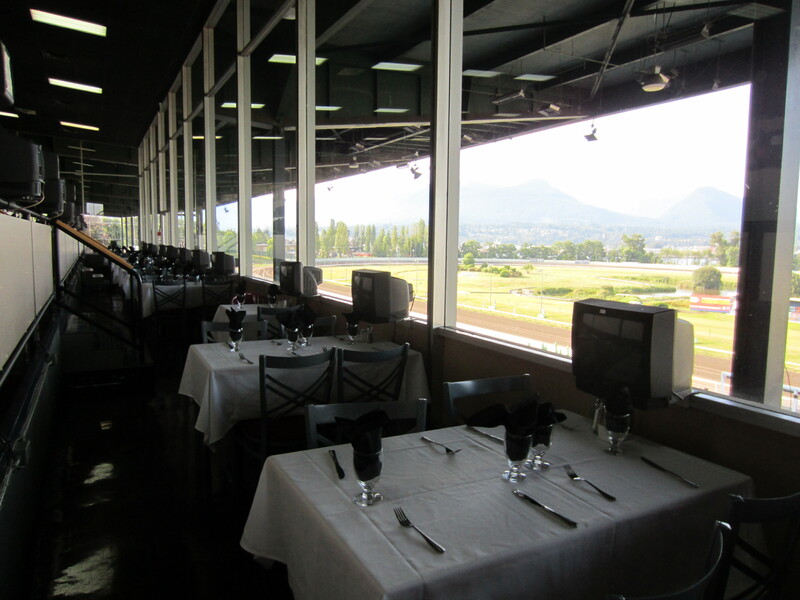 A date night and a Groupon deal lead my bf and I to a visit to Hastings Racecourse on a Friday night for their Friday Night Live for live horse racing and a dinner buffet at Silks Restaurant. Our night started off at 6pm for the dinner buffet at Silks Restaurant, where we were seated near the window to watch the races. The seats were comfortable – more so than the outdoor bleacher seats. 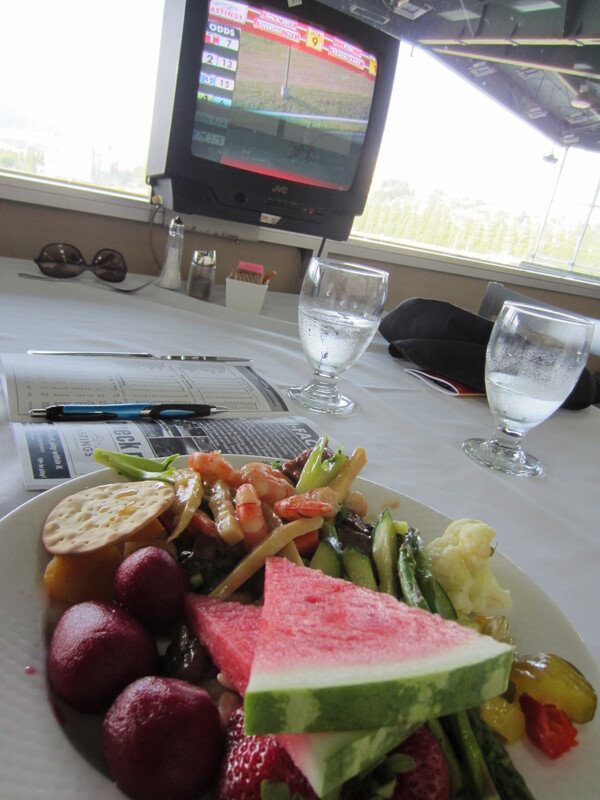 Each table had a TV screen that allowed you to follow the races more up close and with reports / stats, etc. 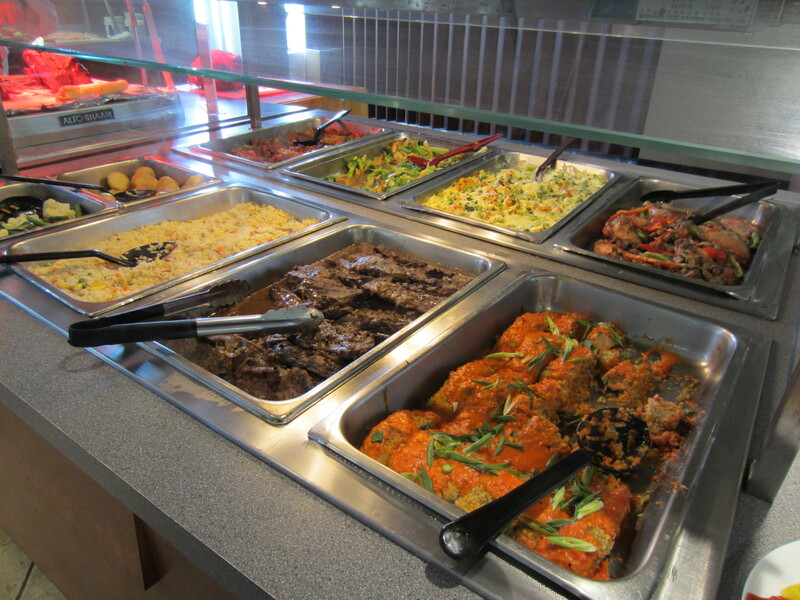 The buffet had both hot and cold servings of entrees, salad bar, cheese platters, and desserts. Drinks were additional cost. For a more detailed review, please check out my post on Vancouver Bits & Bites (www.maryinvancity.com). The races started at 7pm and there was a total of 8 races that night. In between each race you had time to bet by going up to the self-serve machines or to the agents located at the top of the stairs at the restaurant. Note: try to get your food between races and make sure to check when they close off the buffet since it doesn’t last the full evening. Our Groupon deal allowed us to receive also 2 race program booklets – for those who go for the first time, get these books as it outlines the stats of the horses, jockeys, etc and allows you to find out more about the horses you are betting on. Regular price, these booklets are I think $2 or $3 each. We got the chance to bet on some winning horses, but at the end of the day win or lose, it was a fun event! On a nice summer Friday night or a weekend day, visiting the Hastings Racecourse for a few hours is a fun way to enjoy it with friends. On past visits we would see people dressed up similar to at the Kentucky Derby. For more information about Hastings Racecourse, visit their website at: www.hastingspark.com. They are also on Twitter @HastingsRaces.